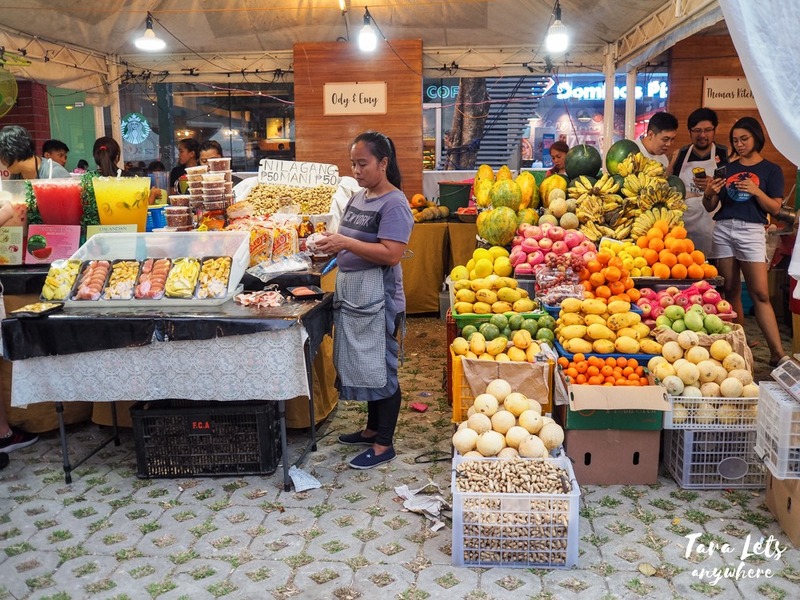 Greenfield Weekend Market was my favorite tambayan when I was meeting friends or craving for a quick bite with Hali. I remember that there used to be a crystal store here we used to frequent, as well as a tarot reading stall (which is still here, by the way). 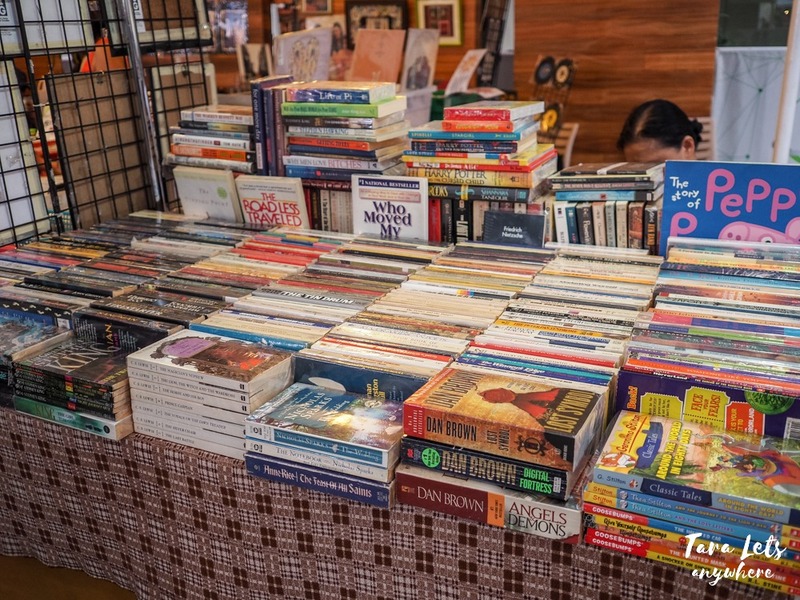 What I loved about it is the variety of stalls (ranging from food to various types of products such as books) and the open-air concept. I moved abroad and then back here in the south so I wasn’t able to visit here for a while. 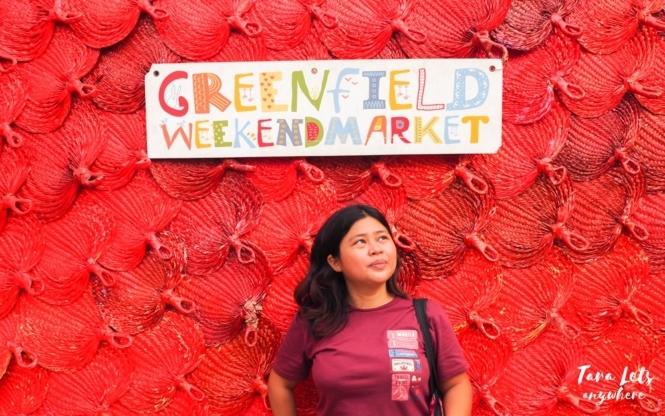 This month, my Saan sa PH (SSPH) fam was invited for a night at Greenfield Weekend Market. 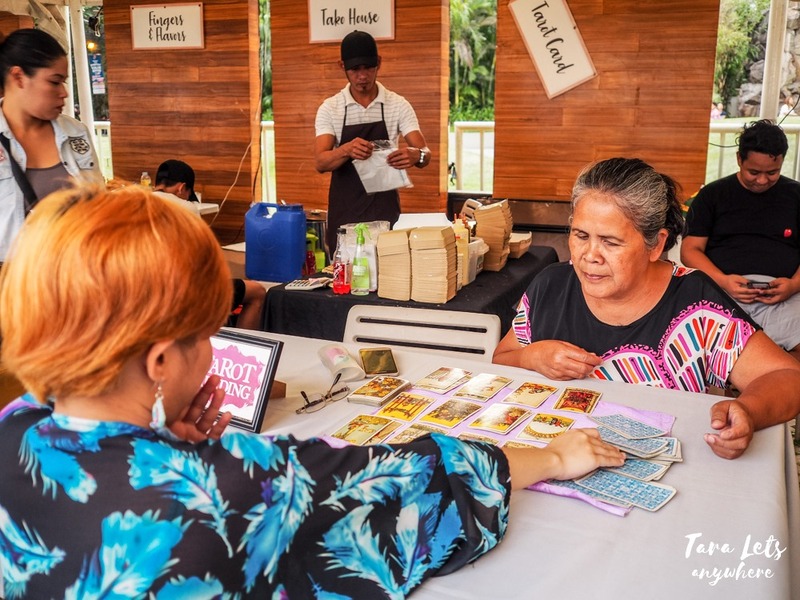 We took this a chance to get up to date with the latest offerings of this weekend bazaar and of course go on a food trip! 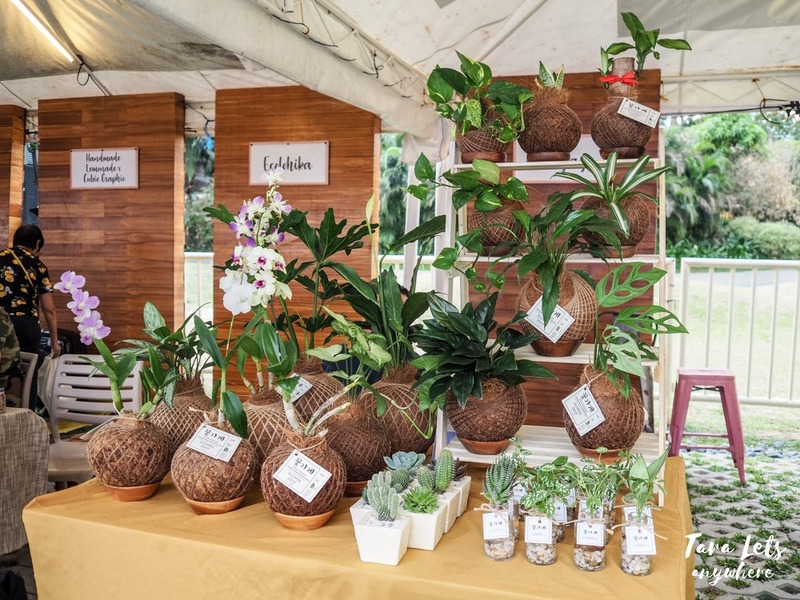 Greenfield Weekend Market is a weekend bazaar offering music, shopping and food. 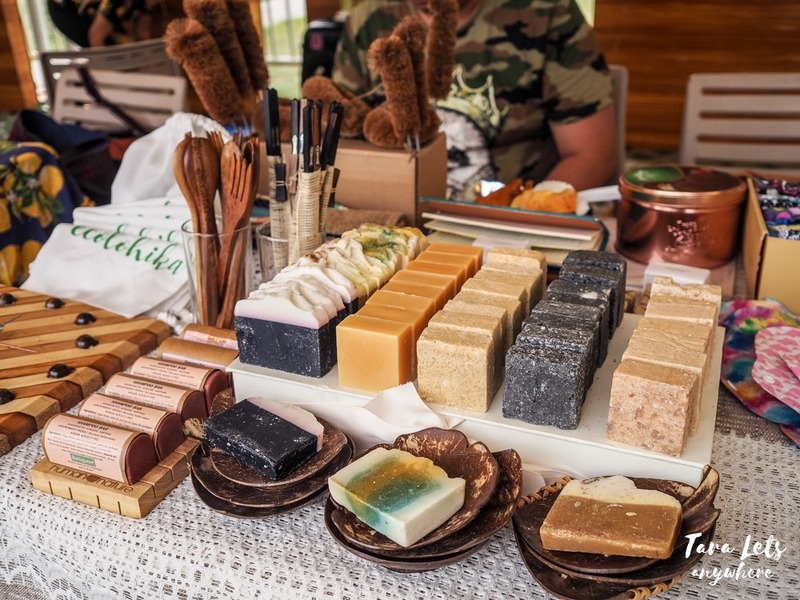 Here you can find various meals and street bites, as well as stores selling make up and knickknacks, pet items, eco-friendly items such as soaps and shampoo bars (see Ecolohika) and books. 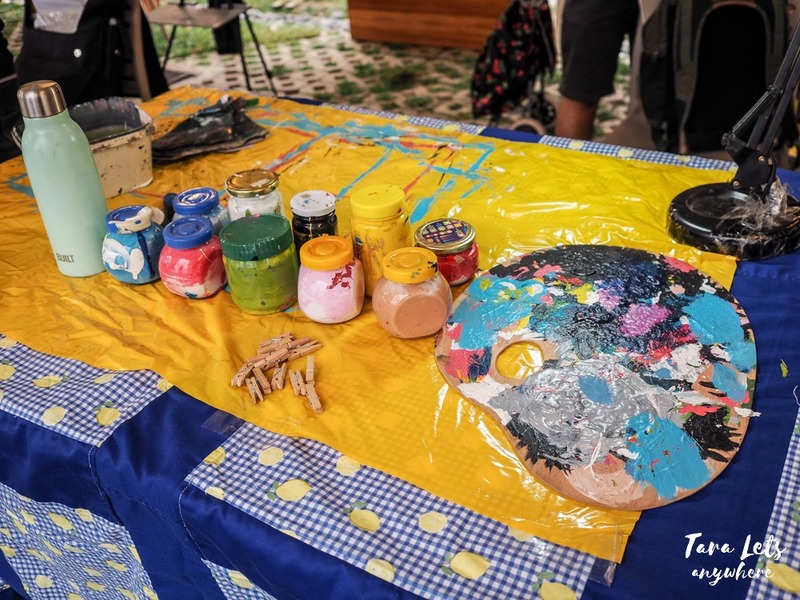 There is also a tarot reading stall and a portrait stall where you can have your own portrait (see portraits by Danny de Leon). Greenfield Weekend Market changed a little bit from when I used to visit it. For one, there are now fences surrounding the market and security personnel in the entrance. I loved when it was still open space and we could eat in the batibots outside, but I understand that this was probably done for security. Also, there used to be banigs so people can sit on the grass; today the grounds is reserved for play stuff for kids and there are more tables for eating. Anyway, then and now Greenfield Weekend Market is still a great go-to place for when you want to chill or food trip on a weekend. Portraits stall by Danny de Leon. At 6PM onwards, there’s a live band performance for entertainment. Here are some food that I brought. 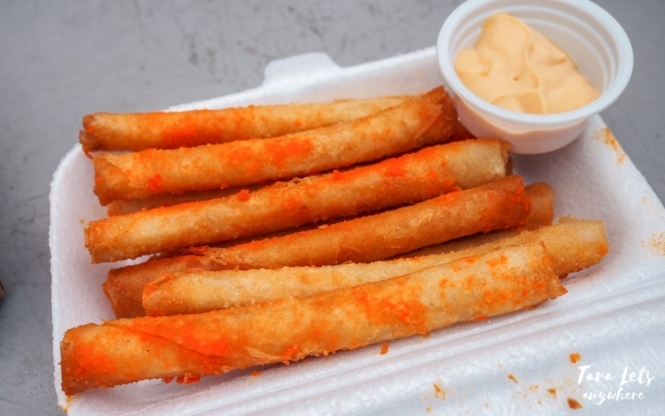 Cheesy sticks (10 pieces, P75) is an easy winner. It’s cheap and cheesy, do you need anything more? 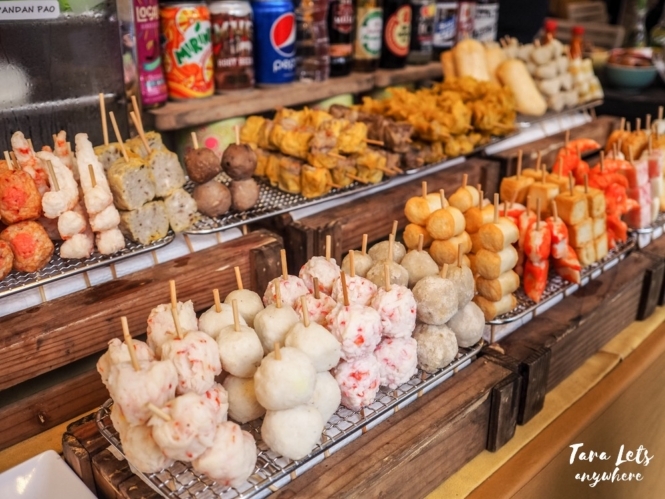 I also tried the two stalls selling takoyaki (4 pieces for P100) since I love takoyaki, but these are a no for me. 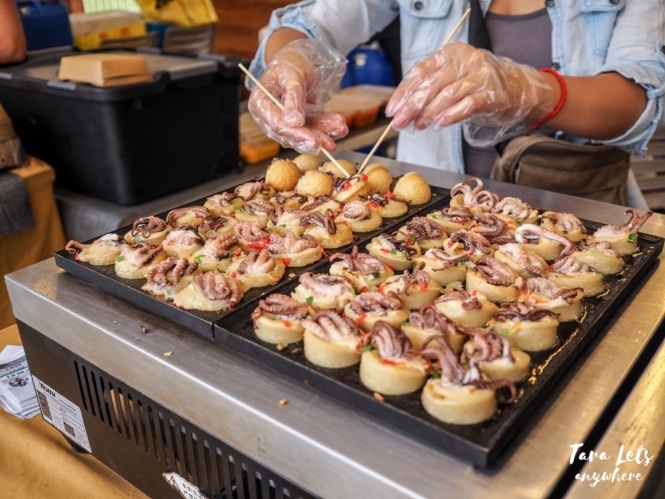 It’s not just flavorful enough, although it was fun looking at how the takoyaki balls were cooked. The same goes for the maki rolls, which were very loose. I bought a spicy lechon with rice (100g, P105) from Raffy’s Belly Good and it was so good. 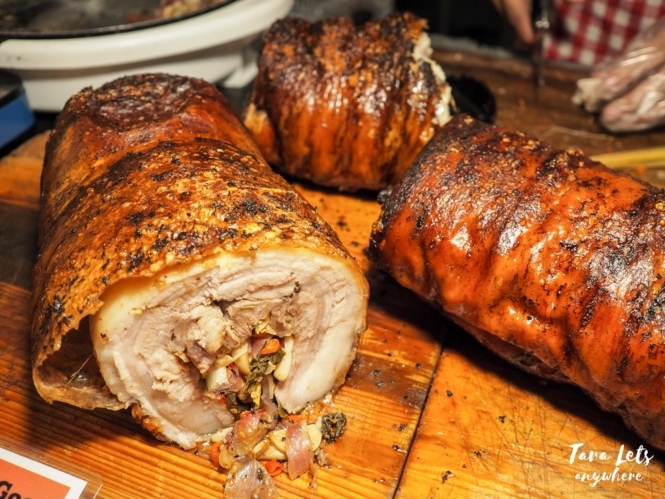 It can give Rico’s Lechon a run for its money. Their base is in Paranaque and you can order from them via delivery. There’s also an interesting store beside this one called Carnivore Cookery that sells slow-smoked beef brisket, which I’d like to try next time. Lechon from Raffy’s Belly Lechon. Lechon with rice: regular (P100), spicy (P105). My friend Claire ordered pusit with chicharong bulalak (P200) from the seafood stall. When you order, the server already dices up the squid for you so it’s easier to eat. The price of P200 includes pusit + 1 other ulam and rice. 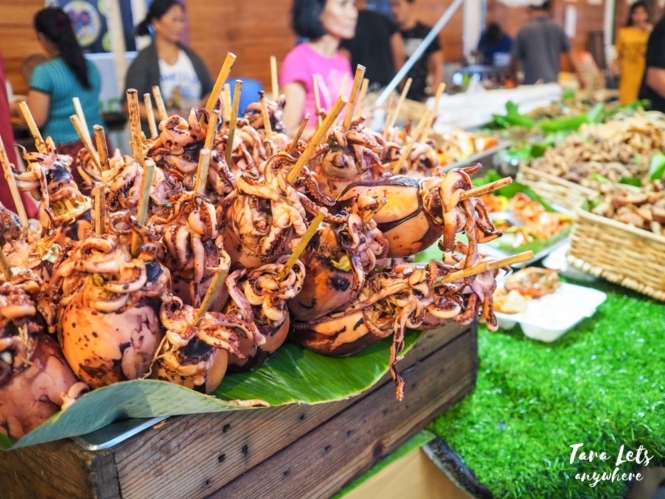 I like the pusit and will definitely recommend it. There’s also a set of fried seafood for P150 solo/mixed. We didn’t get to try this one (we can only eat so much! ), but it’s on my list for future visits. Crispy shrimp, crablets, etc. P150 per styro, mixed allowed. Here’s the cheesy baked clams with rice (P100 promo, P125 regular price) from the Thai stall. This one is also good and reasonably priced. Thai stall selling rice meals and other Thai food. There are also various types of inihaw and tusok-tusok here. 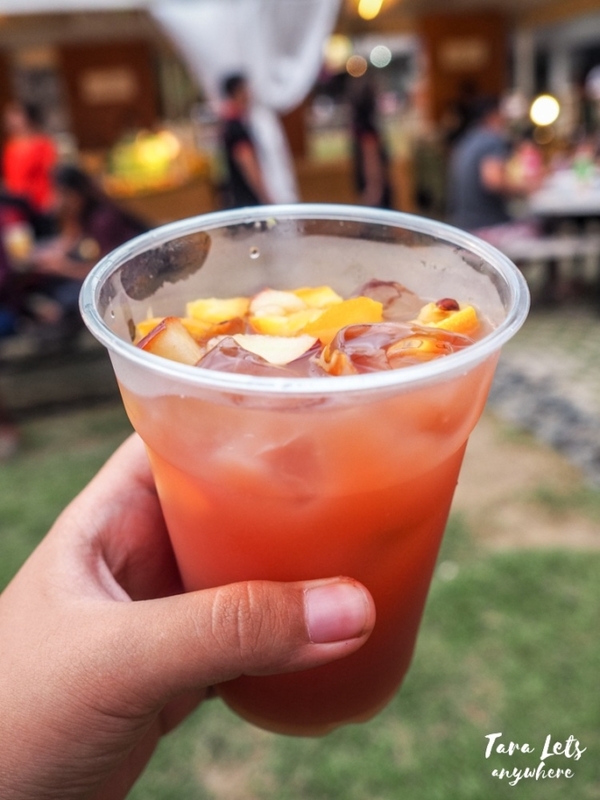 For the drinks, I like the sangria and watermelon sake (P100 each) from Sebastiao. I was actually surprised that they’re sold cheaply since they’re good. The watermelon sake in particular is very refreshing. I also got an avocado cheesy graham (large, P145 + P15 for toppings) from Healthy Fruit Shakes since it was highly recommended by others and it did not disappoint. The large size is good for 2 people. If you’re planning to go on a food trip, make sure to share it with someone else because it’s filling. Avocado cheesy graham (P145 + 15 toppings) and mango graham (P125 + P15 toppings). 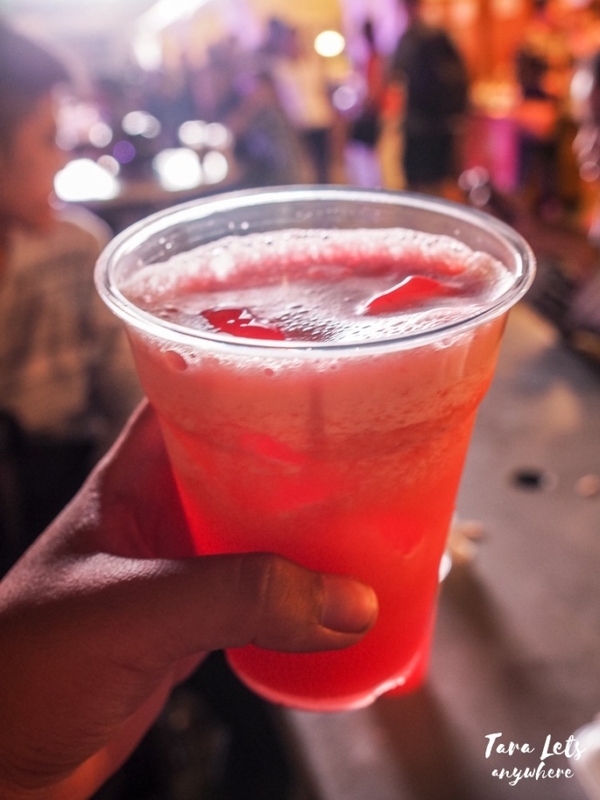 For dessert, Tipsy Cream Manila offers booze ice cream (3 scoops, P180). I’ve already had some of Tipsy Cream’s samples from Gourmand Market and have been a fan ever since. The serving size is small but just enough and you can really feel the kick of the alcohol in the ice cream. 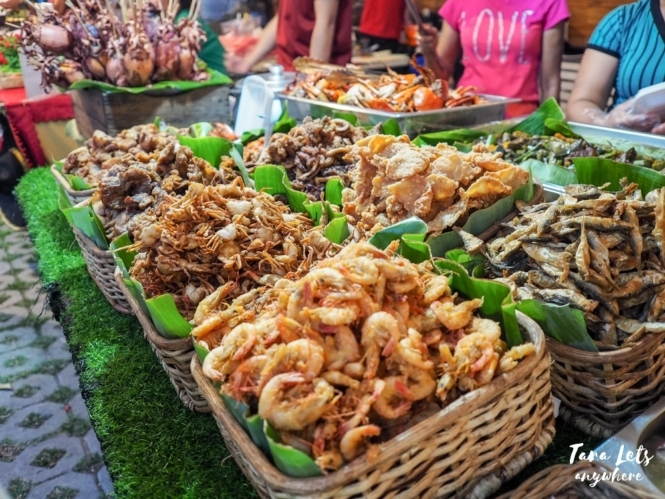 Overall, I was satisfied with our food tripping experience in Greenfield Weekend Market. I was also surprised to know that a P500 can go a long way. 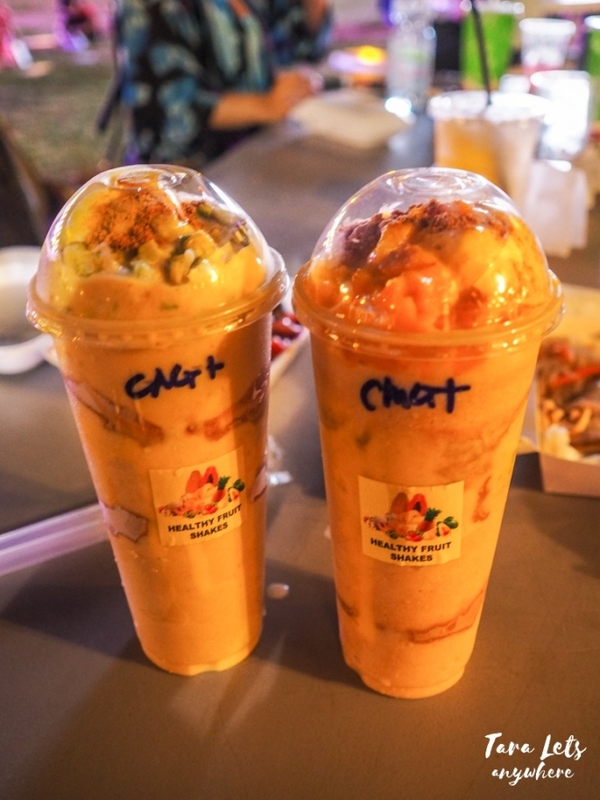 You can buy rice meals for P100-150 only and drinks at about P50-100 and P150 for shakes. 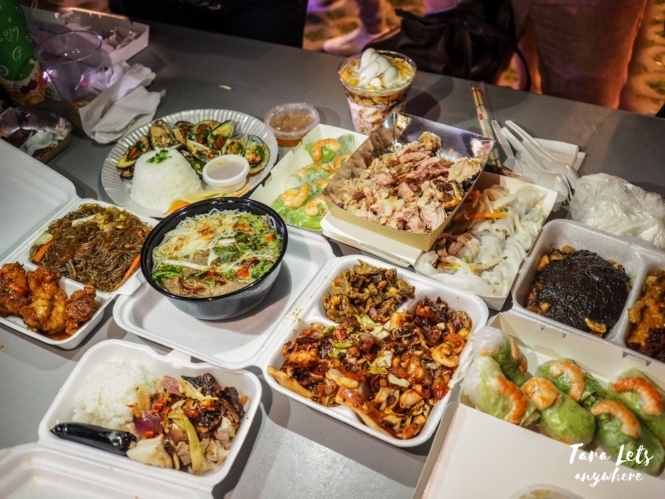 It’s fun going here with a group because you can share and get to taste more food samples! If you want to get good seats in Greenfield Weekend Market, make sure to get here early (about 5:30 or 6PM). We support local brands and businesses. If you want to collaborate with us for a feature, send us an email here. 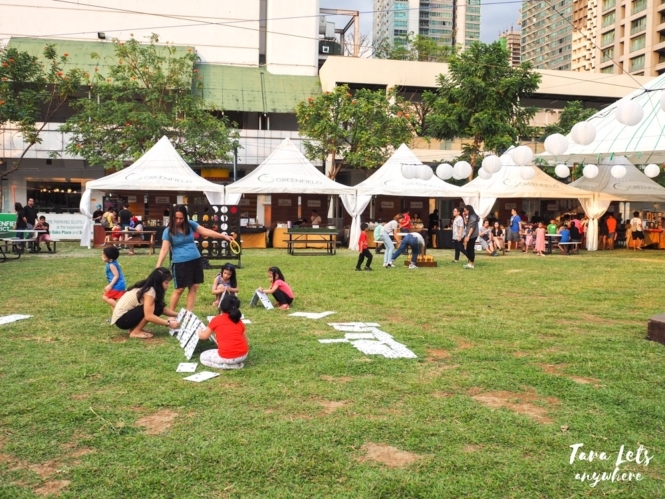 Disclaimer: Thanks to SSPH for organizing this event and Greenfield Weekend Market for inviting us! As always, thoughts and opinions are my own. 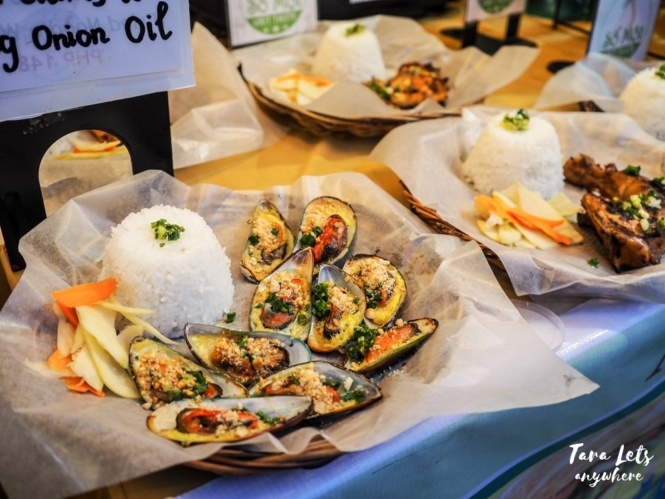 Have you been to Greenfield Weekend Market in Mandaluyong? Do you like it? Tell us in the comments below! Naalala ko Banchetto dito. Ka-miss bigla… at nakakagutom! Wala na atang Banchetto ano. Alam ko meron na lang yung Mercato. 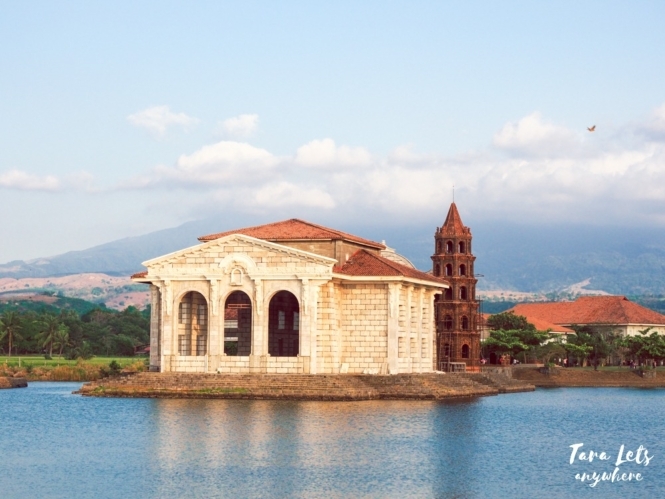 Sana merong malapit sa’min sa south hahaha.